mixture of cells, driven by a primitive embryonal-like stem cell population, which produce a proliferating and differentiating population. Within Yorkshire, there is exceptional and world leading strength in this field, which ranges from the embryonal carcinoma studies in Sheffield, the human paediatric tumours in Leeds and the adult stem cell (prostate) cancer research in York. In all three centres, the expertise in stem /embryonic cell and molecular biology is complementary. 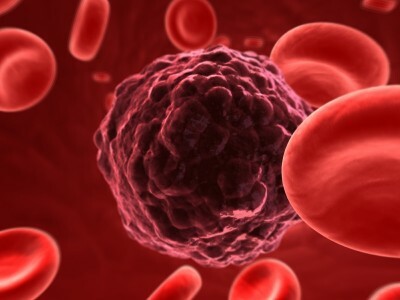 As understanding of the nature of cancer stem cells increases it is likely that common themes about the nature of the key genetic and epigenetic changes which transform a normal stem cell, whether it derives from an embryo, a fetus or from an adult tissue, into a cancer stem cell will emerge. By producing a network which links the common themes of cancer stem cells we would be ideally placed to achieve an international leadership position. To the core expertise and world class facilities in the 3 centres is added the international reputation in DNA damage and repair at the YCR Cancer Studies Institute in Sheffield, and the hematopoetic tumour imaging and analysis provided by two younger investigators in Leeds and York. The latter tumours have provided much of the initial data in the cancer stem cell field, due to their ease of purification. As accumulation of DNA damage is central to the carcinogenic process, analysis of the extent and mechanism which drives this, in small numbers of cancer stem cells will be an important advance in our understanding and rational, science driven treatment of the disease. There will therefore be technical development, exploiting established technologies suitable for postgraduate student training. events in the development of human cancer at an earlier stage than would be possible by study of individual tumour types. To exploit novel findings in a translational mode, both Sheffield and York have successful spin out companies in this area which have built excellent links to the Pharmaceutical Industry, and the new Experimental Cancer Medicine Centres will provide the necessary access to human subjects.